It can be an intense first year introduction for the students. What’s tricky about it, is that some students enter the class with years of music lessons and others may have absolutely no experience with music training at all. And, even some of the experienced ones may know how to play music but may not know how to read music. Katie’s job is to see that everyone gets on the same page quickly. “For 19 years, I always did pencil-and-paper theory exercises right from the beginning, often lurching home in the evenings and on the weekends with 174 papers to grade,” says Katie with a smile. But all that was about to change. 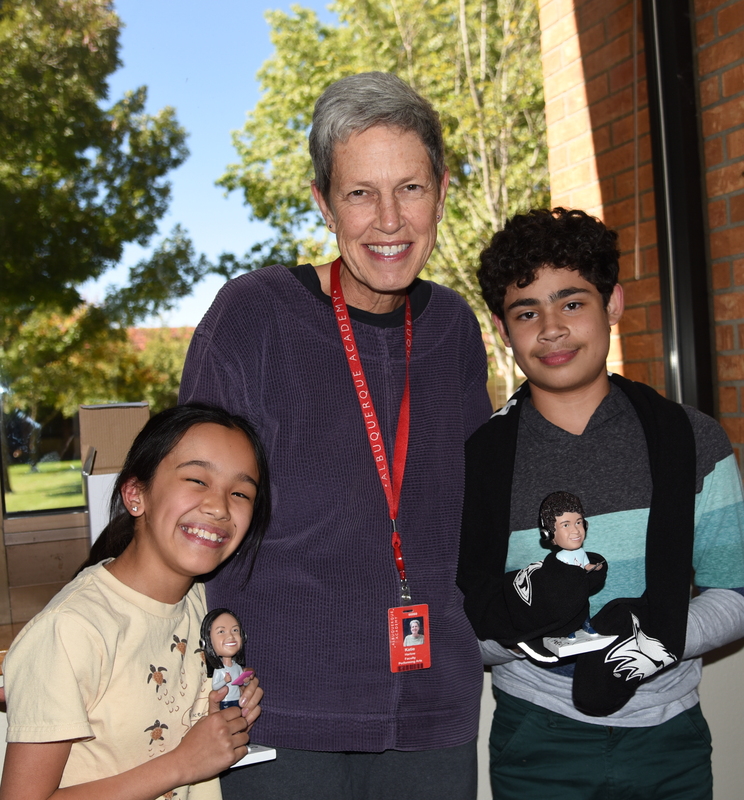 In 2015, Katie’s colleague, chorus teacher Debbie Briggs, came rushing into her office bursting with enthusiasm over a music theory and composing program called Breezin’ Thru, which is accessed and used online. Even though she was a little cautious about using devices in the classroom, Katie was drawn to the time-saving factor of Breezin’ Thru as well as the logical progression of lessons and focused drills. After arranging the use of a classroom set of Chromebooks, Katie’s class went “Next Gen” in the 2016-2017 school year. She says that prior to Breezin’ Thru Theory by the time she graded all the theory papers and handed them back, students only had a vague idea of how to correct their work because too much time had passed. Now her students were able to get instant feedback and keep practicing until they perfected the drill. Looking back on that first year, Katie says there have been other benefits that she hadn’t originally foreseen. “I thought at the beginning that I was mostly making this change to save myself time on grading, and to have a much more cohesive and organized program. But what was incredible to see was how much more deeply the kids retained what they had learned,” remarks Katie. She points to a tight and effective feedback loop for the students between making mistakes, reviewing the concepts, and re-doing the drills to achieve higher scores. The Teacher Dashboard also allows Katie to pinpoint the students that are struggling, so she can address challenges right away and devote individual attention to get the kids up to speed. Even other teachers were taking note, commenting that Katie’s students were able to quickly apply what they had learned in the general music class to their band, chorus, orchestra and guitar lessons. By the end of the school year, my students were able to build a much bigger foundational knowledge base than they ever did in previous years,” she affirms. “And, the kids are having a blast while learning. Katie says she was initially skeptical that Breezin’ Thru Theory’s avatars and the golden egg reward system would motivate her students. (Students must get 100% on 10 drills to get a musical golden egg.) “I thought it might be too silly, but oh my gosh, those eggs are the heart of the matter! The sixth graders love them. We even have a tradition where once a chapter is done and there’s the possibility of a golden egg, the kids all get on their Chromebooks and we do a simultaneous playing of the golden egg… it’s this big sensory surround-sound. It sounds incredible!” One of Katie’s students loved the eggs so much that she went beyond the mandatory 67 drills, completing 105 to collect more golden eggs. Her students are also starting to compose music as well — something they had never felt confident to do before Breezin’ Thru Composing. 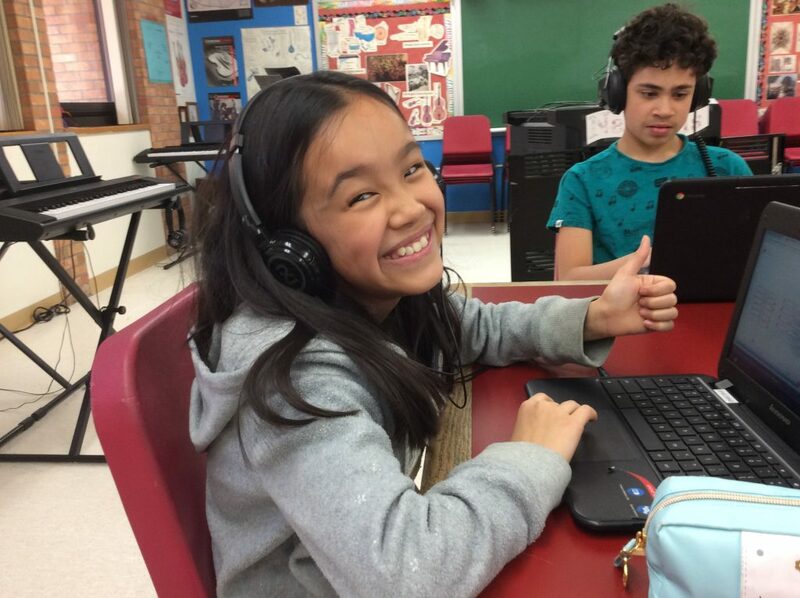 In an integrated project with the technology department, students were creating music and sound effects for a game, which they were coding. 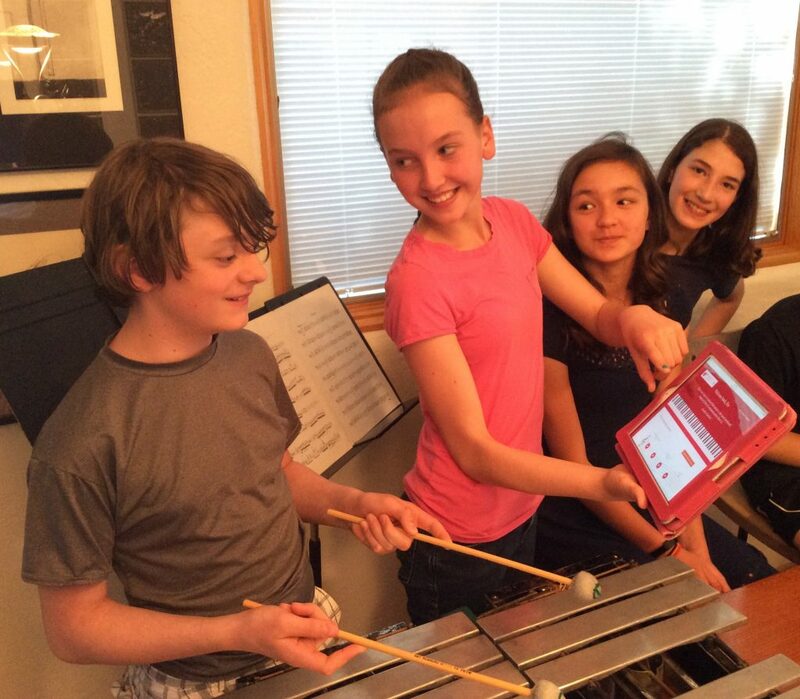 “It’s really amazing for them to actually use notation to create their own sound effects,” says Katie. “The students had super-sonic bassoons playing at the 15-ledger line to create these effects for the game! But what was interesting was they were applying what they had learned from Breezin’ Thru Theory as far as rhythms, chromatic patterns and key changes — not just using sound files from GarageBand. 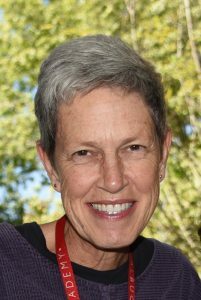 Colleague Debbie Briggs states “Katie has done an incredible job creating an exciting sixth grade general music curriculum around the Breezin’ program. Our students are loving it, and I can see a big difference in their musicianship this year! Today, Katie looks back and laughs at her hesitancy to switch from a paper-based theory curriculum to one delivered online.